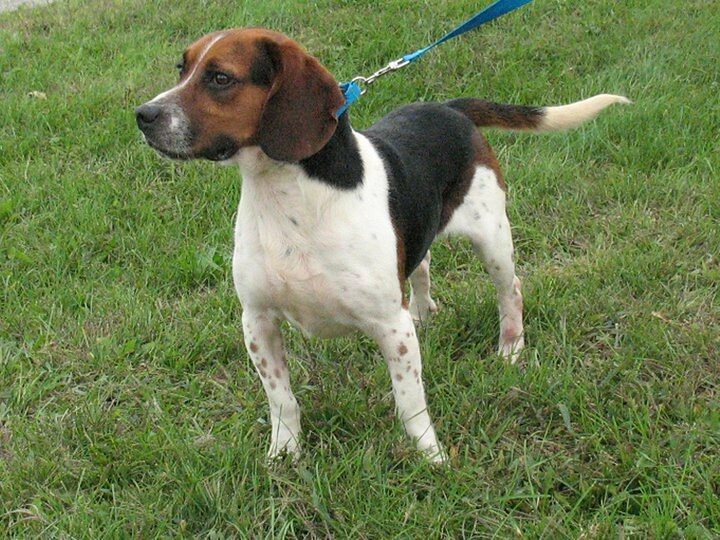 October 3, 2010 - Two 3-year old beagles in KY got a last minute stay of execution. 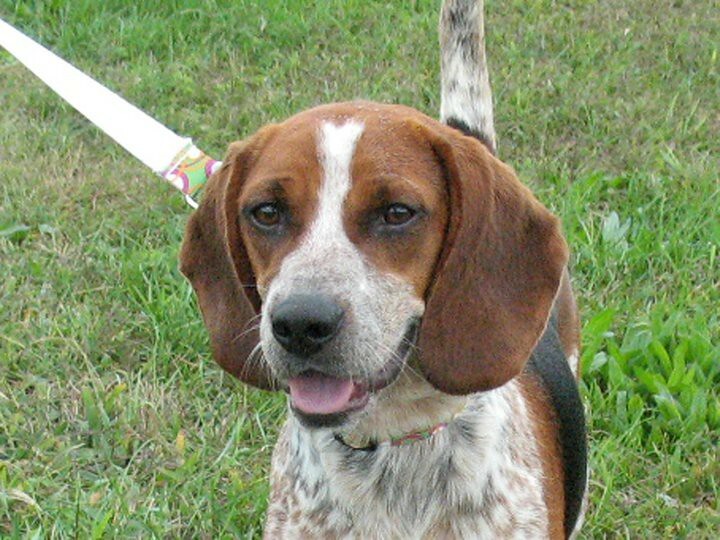 Safe Hounds Beagle Rescue Inc. in New Jersey offered to take them and find them homes. 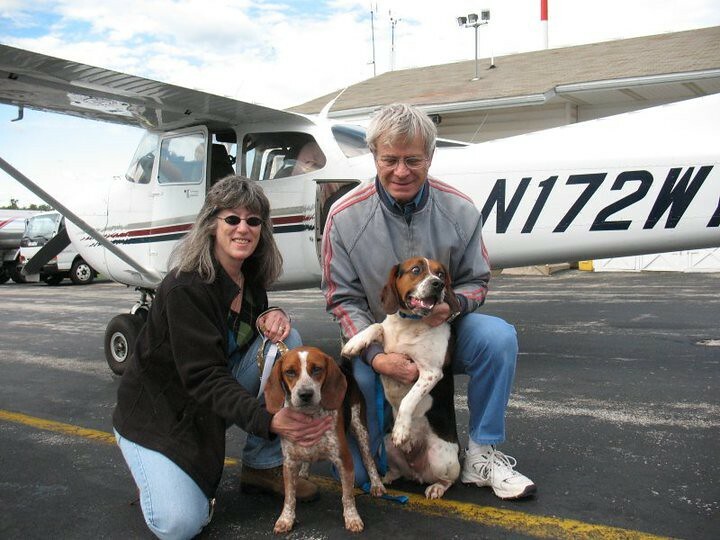 Team Mutt Muffs flew leg three of this live-saving journey. Bambi was rescued from Garrard County Animal Shelter in Lancaster, KY. We do not know how she got there, but she is a beautiful dog, full of love. Buck is a good looking larger Beagle. Strong too. His background also is a mystery. But his future would have been short if not for the efforts of the shelter volunteers to find him a safe place to go. Team Mutt Muffs, Michele and John, posing with our beautiful passengers, Buck and Bambi. They are two of the lucky ones who have a second chance. So many others are still waiting. We wish them kind homes and happy lives.